#IHeartBooks & #Authors - Free Event for Readers! When the author found two letters written by her now deceased father while he was on the battlefront of World War II, she knew she had to find a World War II veteran still living amongst us and tell his story. She found her veteran. Every veteran has a story. This is the life account of a World War II PT sailor whose love for the motor torpedo boat has lasted over seventy years. When the eighteen-year-old Oklahoman stepped onto the deck of the PT boat for the first time in 1944, his life was forever entwined with the PT boat. 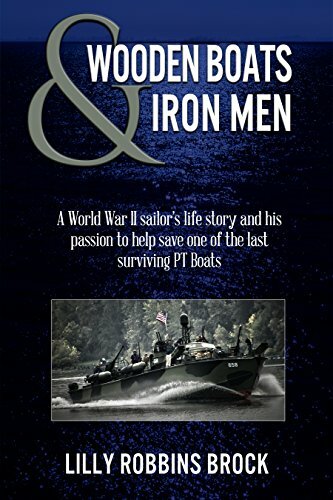 This is also the story of the rescue of PT-658 when a group of silver-haired Navy veterans set out to find and restore a surviving motor torpedo boat. When they found PT-658, she was half sunk and rotting in an estuary of San Francisco Bay. Through the efforts of this PT sailor and other veteran sailors and volunteers, the grand lady is back. PT-658 is the only fully operational World War II PT boat remaining in the world. This book was particularly moving to me. I come from a long line of veterans. My father was in the U.S. Army in WWII and my husband was a U.S. Marine in Viet Nam in the 1960's. As I read the author's recollection of coming across some old letters her father had written during WWII, I could so easily relate as I remembered coming across letters my own father had written to my mother during that same time. Yes, I had an instant connection to this author. "According to The National World War II website, in their article "Honor: WWII Veteran Statistics", there were sixteen million Americans who served our country in World War II, and now, in 2016, there are just under one million veterans still living (May 2016). I value their loyalty to our country and consider them a national treasure. There's still time to hear their stories, and to honor them." Honoring a WWII veteran, is exactly what Lilly Robbins Brock did. She discovered Maury Hooper, a stately grey-haired man, who told his story with style! Here was a man, born in 1926, growing up on a farm with the farmhouse being built by his own grandfather. His family struggled through the Great Depression and then the Great Dust Bowl. In 1944, three years after the bombing of Pearl Harbor, Maury Hooper was sworn in to the U.S. Navy. His story of the years he served, as well as the years that followed, warmed my heart with pride in this man. This story was beautifully told by an author who shares the passion of many veterans. I was pleasantly surprised when I noticed on the Dedication page that a portion of the proceeds of this book is donated to the non-profit organization, Save the PT Boat, Inc. Their mission is to maintain, operate and display the historic relic PT-658, as a living memorial to honor the many U.S. sailors who manned these small wooden warships. This is a definite 5-star novel for me! *Disclosure: A complimentary copy was provided by the author in exchange for an honest review. All thoughts, opinions and ratings are my own. Lilly Robbins Brock was born in Olympia, Washington where her pioneer family homesteaded in the late 1800’s. 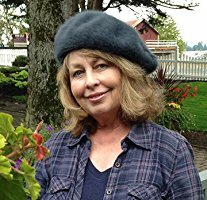 Her ancestral roots inspired her to research her family’s genealogy and have influenced her desire to write historical fiction. Lilly has had a passion for writing for as long as she can remember. Throughout her life she has written poetry and short stories, but never published any of her work. Earning a living took priority. In 1980, she began her own business in interior design. She loved her work and her clients. She enjoyed staying connected with them and wrote and sent out a monthly newsletter to them for several years. It was then that she realized that writing had to be a part of her life. Lilly and her husband are now retired and moved to a serene coastal setting which is the perfect place to pursue her long awaited writing journey. She also realized that the Planters’ blood of her pioneer family is alive and well in her. An orchard was immediately planted, and an organic garden is planted annually. Thus, her first book, Food Gift Recipes From Nature’s Bounty, was born.